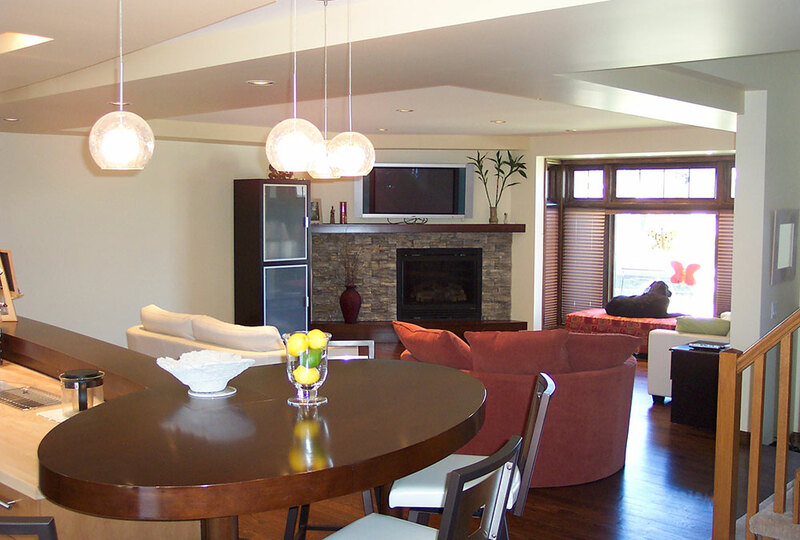 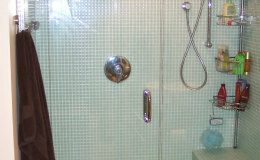 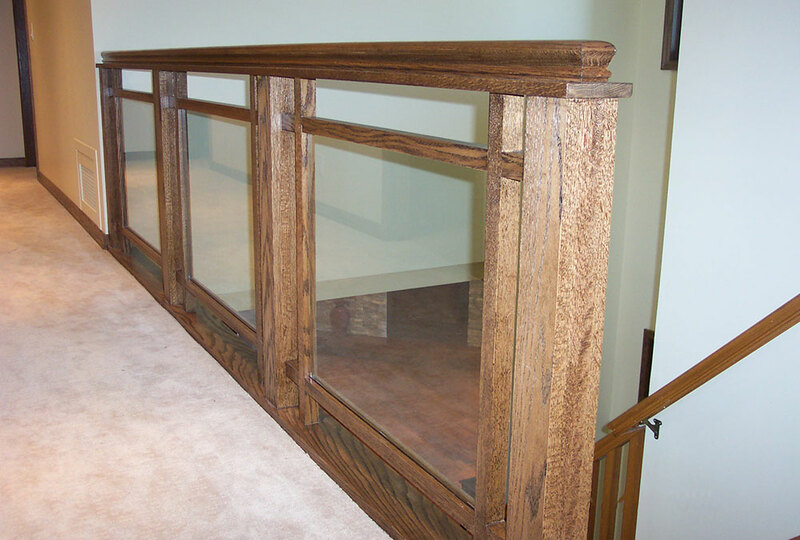 These homeowners fulfilled many needs and wishes by having this project completed. 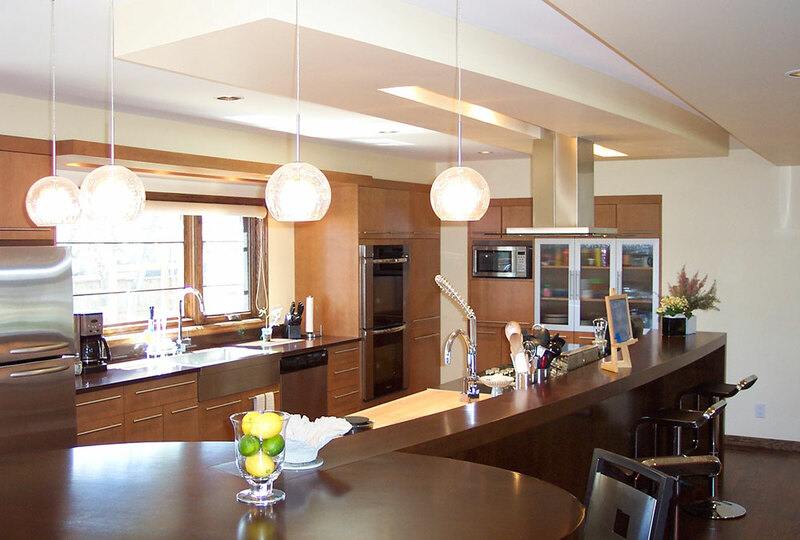 From the wide open main floor kitchen / eating / living area to the extra bedrooms, second floor office, larger master bedroom and luxurious en-suite, no stone was left unturned. 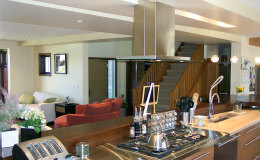 Key to opening up the main floor was a 14" deep x 26' long steel I beam that holds up the new second floor wood joists. 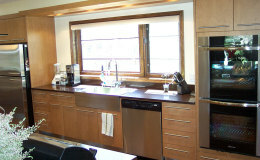 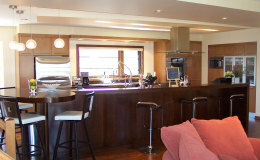 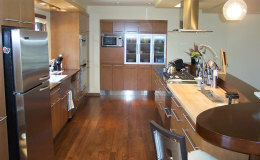 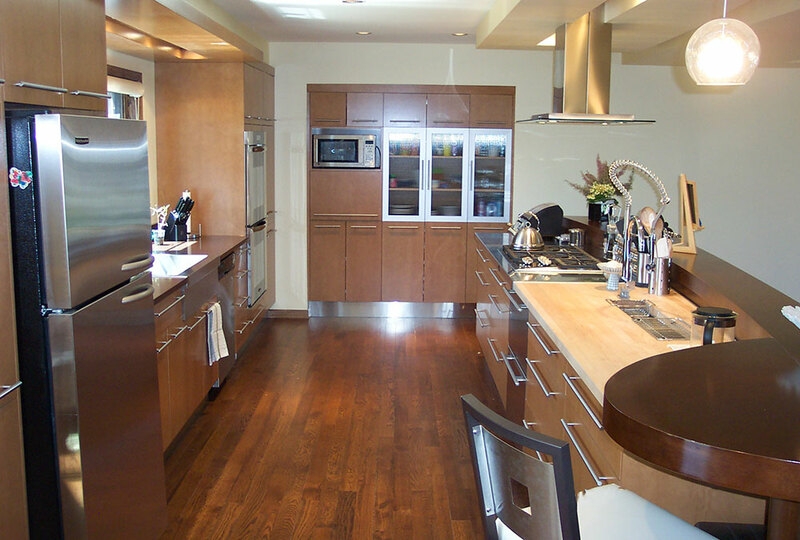 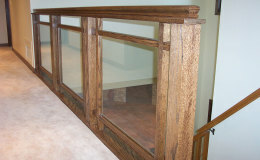 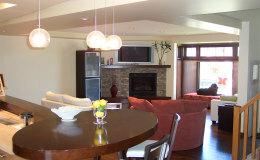 The project included a complete new medium brown Maple kitchen. 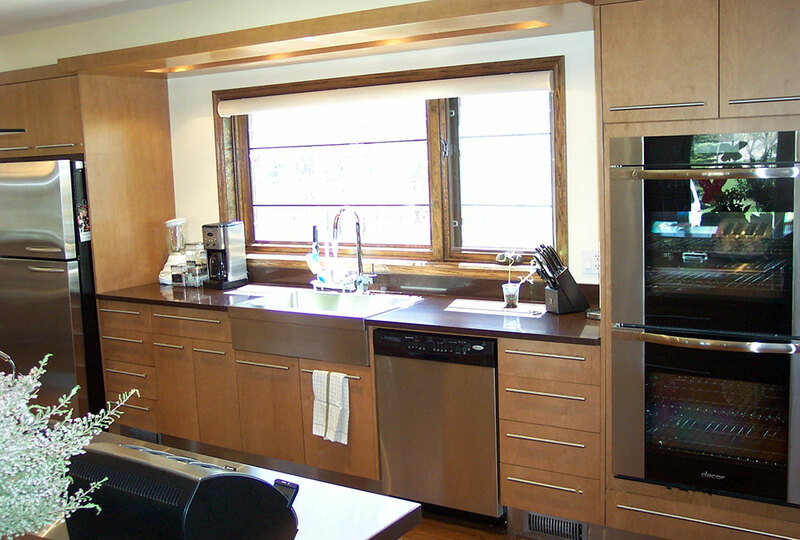 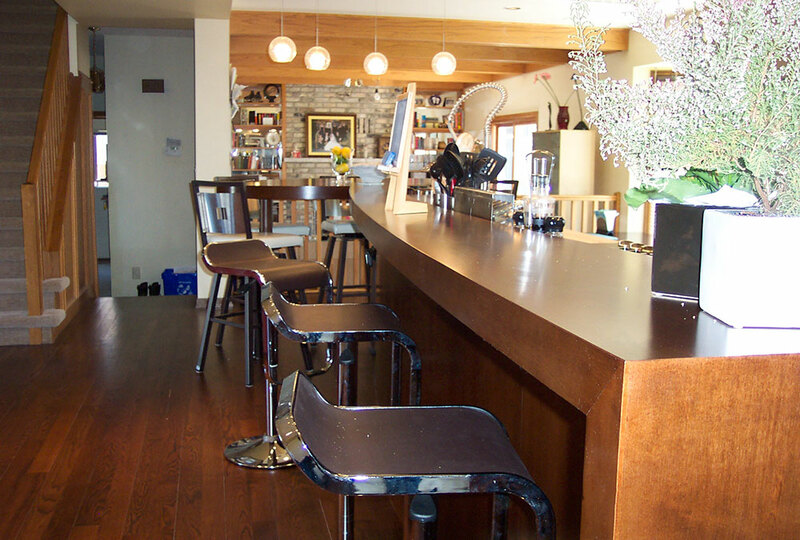 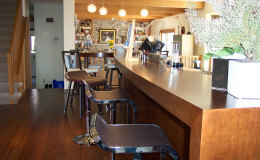 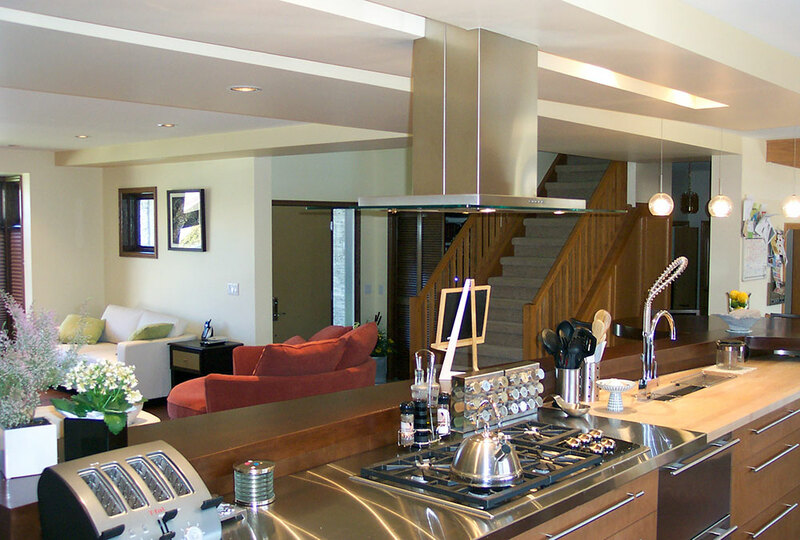 Counter tops were a combination of Ceasarstone, real wood butcher block and stainless steel. 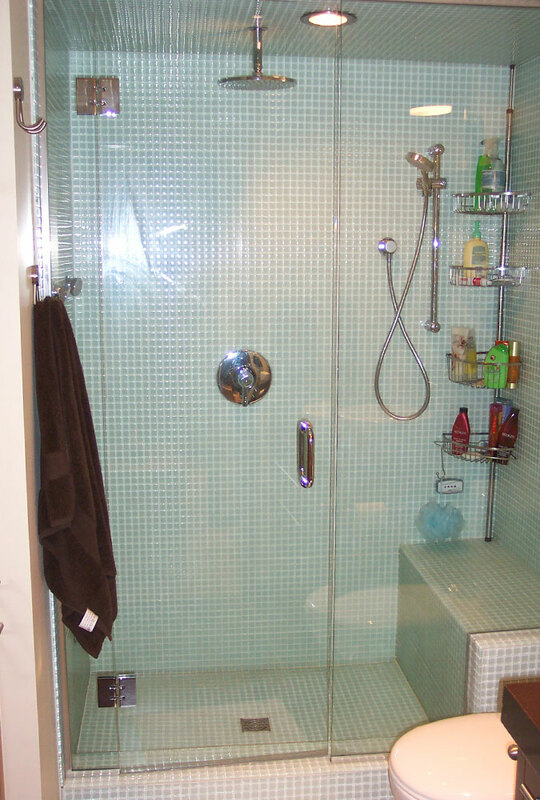 The master en-suite upstairs incorporates matching millwork, a steam generator, custom glass shower encloser, glass tiles on the shower walls and a heated tile floor. 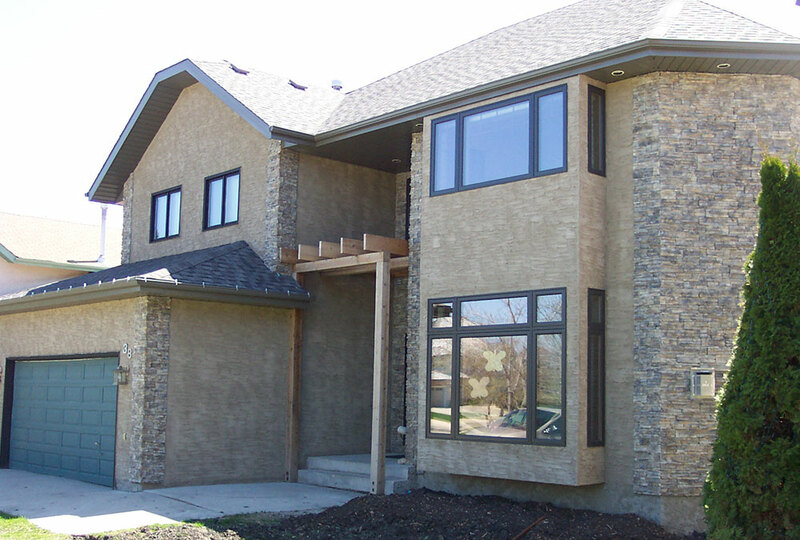 The old brick was completely removed from the front of the home. 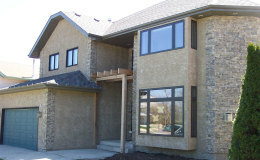 A combination of colour stucco and stone was installed afterwards.